Osmanthus - guì huā 桂花 . 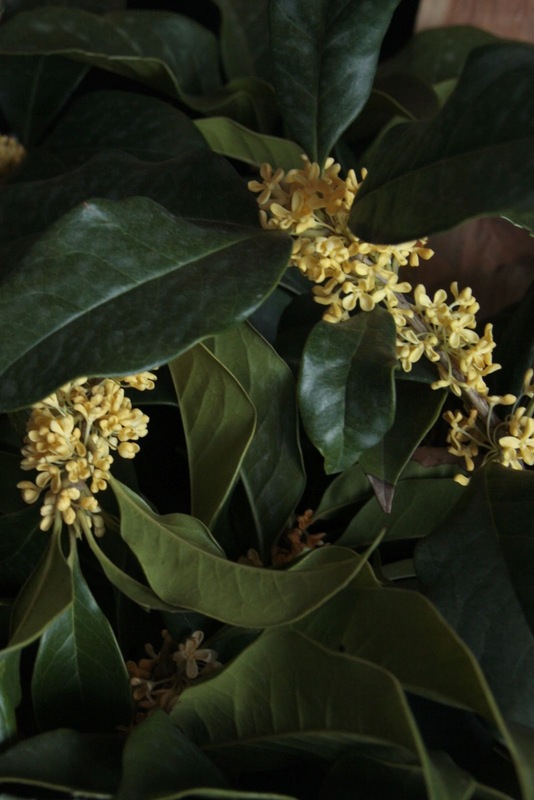 It should be called Sweet Blossom of Heaven or something like that, because the tiny gold flowers of the osmanthus tree have the most unforgetable scent, an impossible combination of apricots and roses. The flowering of the osmanthus always signals the start of autumn in Shanghai, although I missed the official autumn start while I was in Qian Dao Hu last week. In China, the Weather Bureau Guys in their climate controlled offices have the seasons all sorted out. For autumn to arrive, for example, they wait until the temperature has dropped to below 25 degrees for five days in a row, then they make the season 'official'. In Qian Dao Hu, and Beijing, and Xinjiang, autumn will come at a completely different time according to their weather bureau guys. Don't you love it? Season by committee. Anyway, back to the osmanthus. 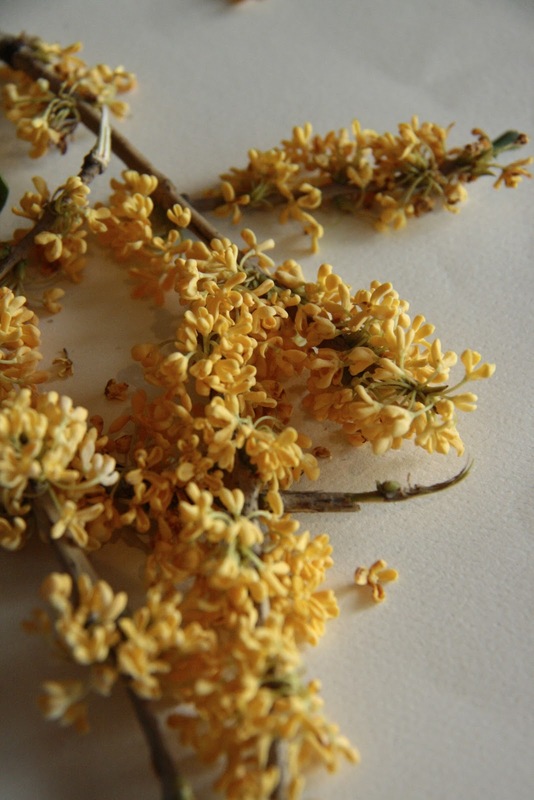 I have been stealing out under cover of darkness to pick branches of the golden yellow flowers for drying. So far undiscovered by the lane guard, I think. The flowers can be steeped in tea, or jelly, or my favourite - cream. They fill the house with their delicious scent, slowly fading as they dry. 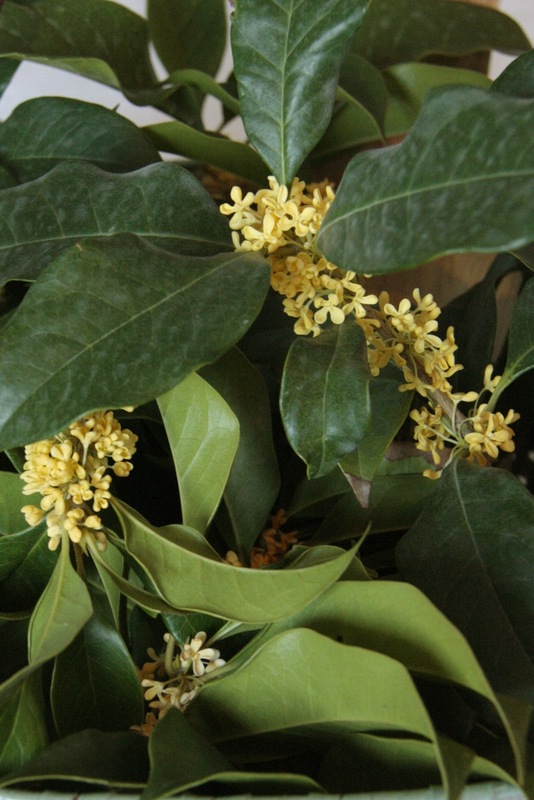 Whenever I smell osmanthus now it will take me back to early autumn days with just a touch of crisp coolness in the air. I'm not very poetic but here is a lovely 3 lines from Song Dynasty poet Liu Yong.